Set with birthstones for the Aquarius zodiac (January 21 – February 18). 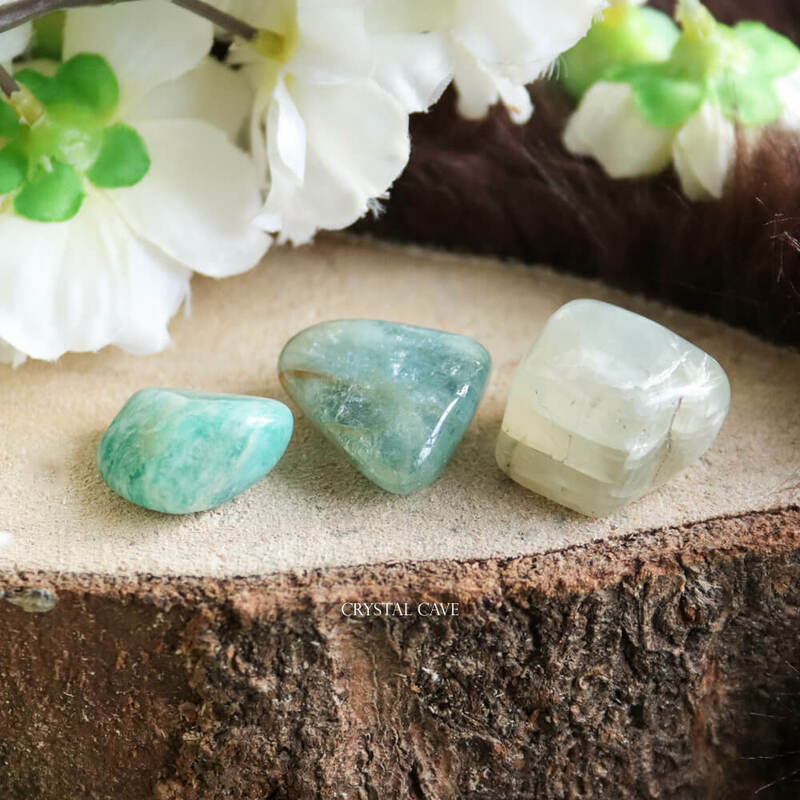 This gemstone set contains the following hand-selected tumbled stones: Aquamarine, Amazonite and a Moonstone. A fun, personal gift for someone who has a birthday within this period or is new with gems! Aquarius, you are: kind, loyal, honest, original, inventive and independent. The stones in this set are specially selected for you and fit perfectly with the Aquarius zodiac. The stones are food to enhance your positive qualities. The stones come in a hand stamped suede bag. These stones can be useful in meditations, you can carry them with you to remind you of your daily intentions, as decoration or if you just love the zodiacs! You will also find this gemstone set in the Aquarius Giftbox! 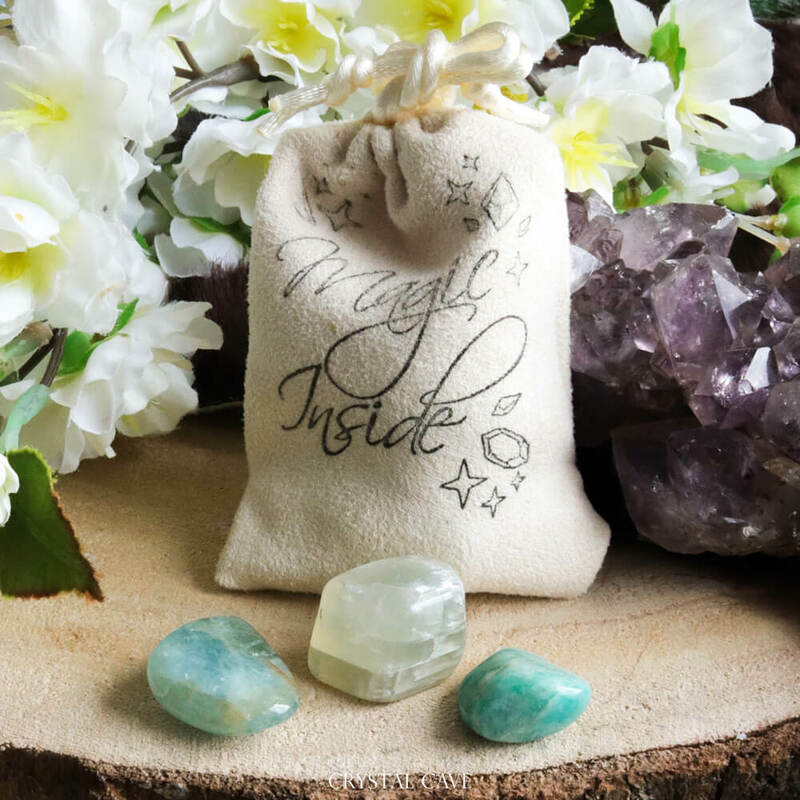 Contains 3 stones: Aquamarine, Amazonite and Moonstone in a hand-stamped suede pouch. The stones have been cleansed for shipment. Risk of suffocation – not suitable for children!